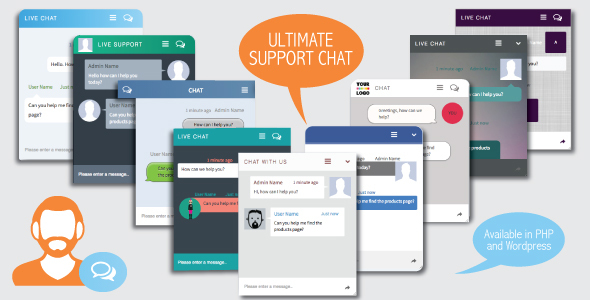 Ultimate support chat is a fully featured, high performance chat application designed from the ground up to be fast, efficient and to provide you with an ideal chatting platform. It features an advanced widget customize thats intuitive and easy to use give you visual feedback and control of every aspect of the chat widget and how it appears to your visitors. 0 Response to "CodeCanyon - Ultimate Support Chat - PHP Live Chat"